Many cities and transit agencies across the globe are talking about how to make transportation more green, equitable, safe, and “advanced” in this Digital Age. At first glance, these “new transportation” ideas seem wholesome and designed to benefit everyone, even our dear earth. Our People for Mobility Justice (PMJ) researchers decided to form a “New Transpo Team” in order to take a closer look at this topic. Here’s a reflection from our “New Transpo Team” which is our new think tank exploring the future of mobility. As we summarize below, we used an equity lens to analyze the effects that some trendy models could have on the mobility justice needs of our most vulnerable community members. Could these new systems actually accommodate and improve the mobility for, let's say, an elder who is blind and undocumented? What other communities must be considered to ensure that everyone is served? Do these new systems uphold capitalist exchange and exploitation, or do they transform mobility into something more restorative? These are just some of many questions we raised. Let's review some of the new transportation trends. It seems like every day there’s another system or issue popping up, so this is just a handful. Privatization of Public Transit - It’s important to note whether a transportation system is operated by a public agency or by a private company, which can vary from city to city. Public and private entities are subject to different standards for transparency and public accountability. The California Brown Act mandates that government agencies, such as transportation departments, hold open meetings. How do we hold private entities accountable? Lacking resident oversight and input, decisions made in private business meetings could have adverse impacts on the travel experiences of our most vulnerable community members. Will these private companies pay their fair share for usage of the public roadway that is owned by the city and everyone who lives, shops and works in the city? Transportation Network Companies (TNCs) - This term describes “ride sharing” companies such as Lyft and Uber. The number of people using TNCs is increasing everyday as they find this option more convenient than taking public transit in Los Angeles. 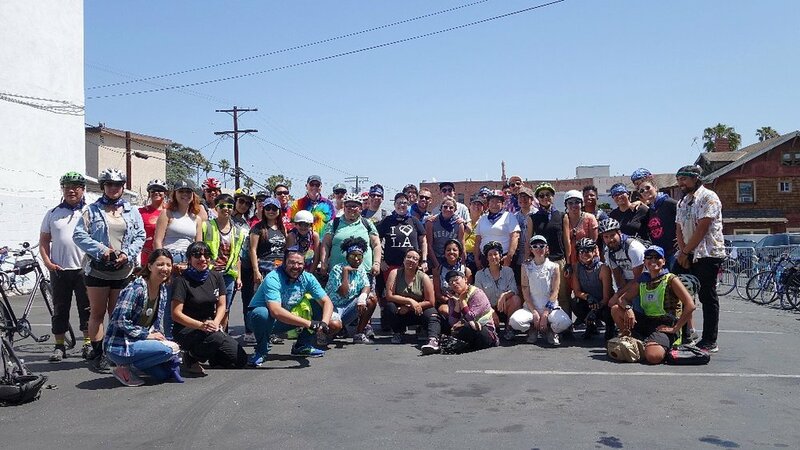 However, we’ve learned from ADAPT Los Angeles that these app-based services are not necessarily in compliance with ADA requirements that would make it possible for everyone to use them, both in terms of ordering rides and having disabilities accommodated. We are also concerned that if TNCs decrease bus ridership, core bus riders could see cuts to their service, further narrowing their already limited transportation options. Added to all this, TNCs tend to rely on exploitative employment practices, such as classifying drivers as independent contractors, in order to remain profitable. They have not been providers of the good jobs our communities need to thrive. Automated Vehicles (AVs) - AVs are being touted as a safety innovation, but we are concerned that human-developed artificial intelligence technology is a poor fit for the often chaotic social life of shared streets. Besides traffic collisions, car-based travel also harms our communities through congestion and pollution, regardless of whether the driver is human or AI. We are also concerned about job loss. Are AV companies innovating new jobs for human drivers? If not, it is likely that they expect the burden of job loss to fall on public services while they profit from reduced operating costs. Another burden that this industry places on public coffers is developing regulation and installing infrastructure on streets and roadways to accommodate AVs. Who will pay for these changes, and who will benefit from them? Electric Bus Fleets - Cities and transit agencies all over the U.S. are replacing their old bus fleets with eco-friendly buses. Where are the old buses going: to a landfill, or to a second life of service in another country? We know it is not always the most green option to buy something new; retrofitting systems so that they work more efficiently is a key strategy for those of us whose families have had to work their way out of poverty. We wonder about the contracting processes that lead to public dollars being spent on newly manufactured rolling stock, and whether they continue the destructive capitalist cycle of planned obsolescence. Hyperloop - One of the most hyped new transpo systems in Los Angeles is the proposed hyperloop. This so-called innovation is essentially a faster subway in the shape of a pod that would move about 16 passengers at a time. This may sound cool and futuristic, but it’s a private venture by Elon Musk, who used federal bailout money to prop up his failing electric car company. He’s also been at the forefront of the AV industry that we discussed above. It’s hard to imagine that someone with a record of using public resources for private profit, and with such enthusiasm for eliminating jobs, would produce a transportation system with true public benefit. Why take on the huge expense and risks of tunneling for such a small-scale project in our geologically sensitive region? California High Speed Rail - The California High Speed Train will have several clear advantages over planes, offering cleaner travel and better transportation options for people who are traveling from one city to another. In many cases, trains are cost-effective, time-efficient, and provide riders a fresh perspective on traveling and interaction with other riders. However, there are myriad issues plaguing the construction and effectiveness of the train: rising costs, postponed completion dates, and access for low-income communities. Then there is noise pollution, and potential displacement of long-term residents around stations as development increases. This is another case where public-private partnership will likely result in heavy burdens on public resources. There is a lot to consider with so many new transportation systems rolling out. What we’ve summarized here is a snapshot of the conversations we’re having at PMJ based on our past work on shared mobility and our commitment to mobility justice. Perhaps many of these systems shared above may have a place in the future of mobility justice if used appropriately; what feels urgent to us is developing good structures for accountability today. 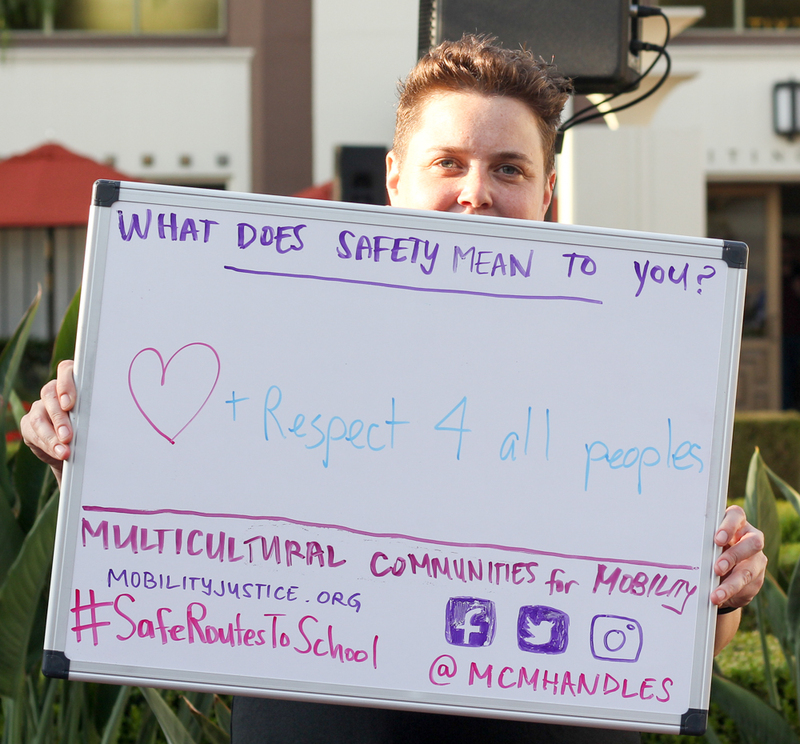 We want to leave you with these questions that may help your community come up with some mobility justice principles in response to these systems. What are you thinking about? How is your community contending with this? 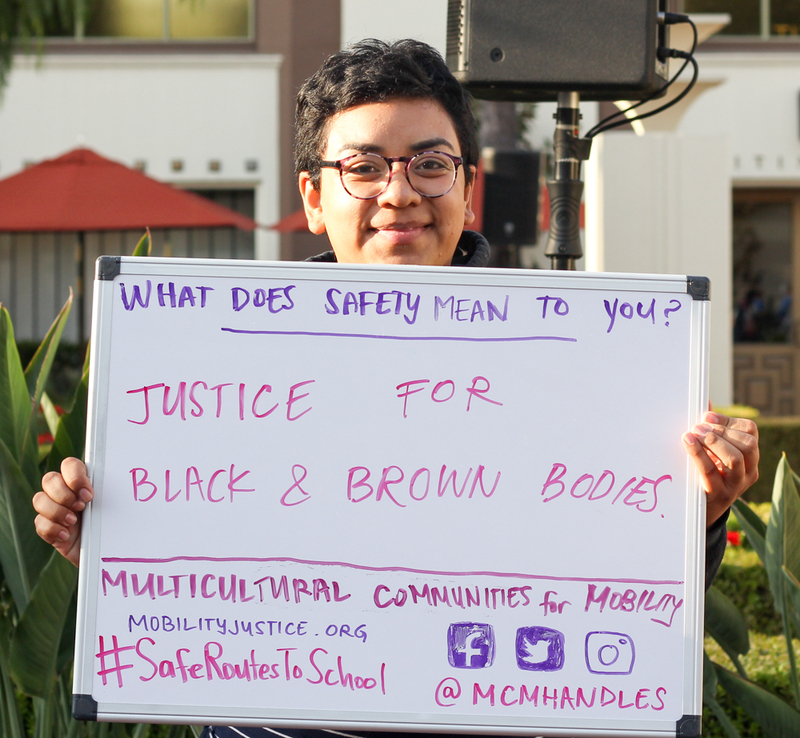 Published: July 17, 2018 by People for Mobility Justice. Suggested citation: People for Mobility Justice. (2018). New transportation in the context of mobility justice. Retrieved from https://peopleformobilityjustice.org.